Discussion in 'Ride Reports' started by BadDNA, Feb 3, 2008. 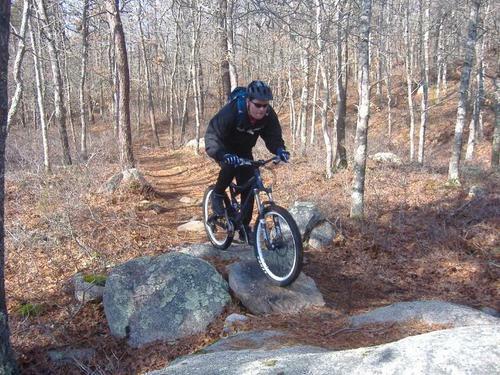 Weather's warm and the ice is melting, trails were expected to be really sloppy here in central MA so Berkshire Rider and I decided to head to the Cape where the soil dries out a lot quicker and we were not disappointed. Despite getting a foot of snow earlier in the week there was surprisingly little left on the trails today. Nice pics Eamon. Is that Otis? 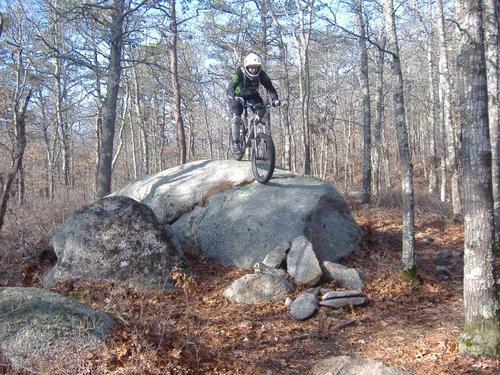 Looking for a place to ride next weekend, thinking possibly Arcadia down in RI again. i don't recognize that last Picture , where is that ? How lost ( as lost as you can get in otis ) with out DR the human GPS ? Yeah Joe, that's Otis. If you want to go down let me know, I'd be glad to join you. We didn't really get lost at all. That last bridge you're used to riding in the other direction but the light was in our face when we tried to shoot from that angle so Steve turned around and went up the ladder for a picture. 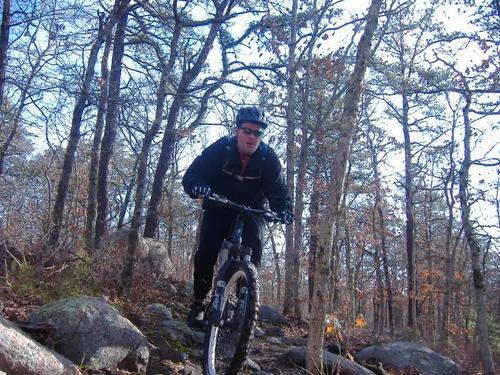 I am glad we only have 2 or 3 areas to ride that are THAT rugged! if I had that around here... either I would have to quit riding or my kids would go without food and clothes... cause I would break too much gear! That's funny...this is our off-season riding around here, you've seen Splat's photo threads. I would love it for riding purposes, but I would hate it when managing my bank account ! Great pics! I wish that I could've been there... Hey, I wanted to see more pics of the helmet in action! 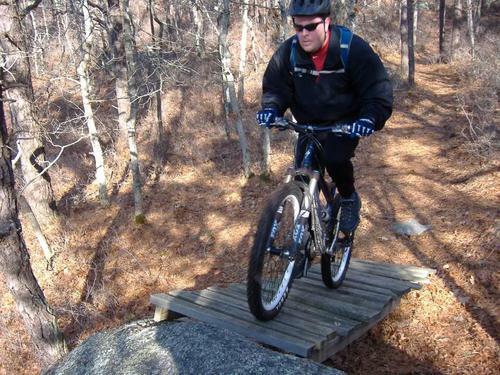 Where are these trails on the Cape? We just booked our 1st "family vacation" on the Cape (like the rest of middle America...) this summer and want to find some places to hopefully ride. We'll be pretty far out, though. 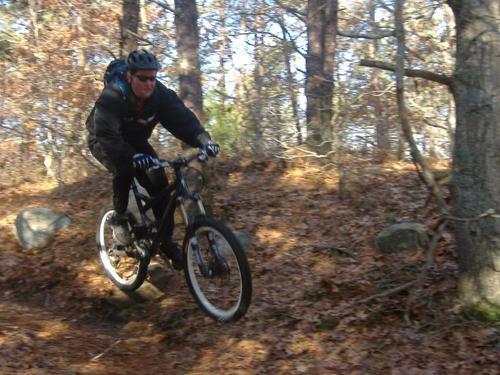 These trails are in Falmouth but there is stuff further out too. 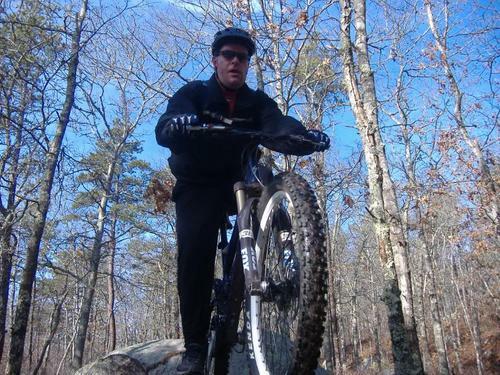 I've never ridden here, but another popular spot is out in West Barnstable called Trail of Tears: http://www.capecodbikeguide.com/tot.asp There are rail trails and dirt all over the place too: http://www.capecodbikeguide.com/trails.asp I'm sure this isn't a comprehensive guide but it certainly has some of the more popular spots. Have a great vaca. we are staying on cape this summer the third week in July, so I'll be heading out to hit a few local spots during that week.